The vested interests you will find trying to influence the choice of Imams at the National Mosque are mainly people who have ulterior interests in a particular Imam. His Eminence, the Sultan, Alhaji Sa’ad Abubakar has resisted all overtures by these conflicting interest groups and persons, hours after the internment of the late Chief Imam, Sheikh Musa Muhammad, to unduly influence the selection process. One of such vested interests is Sheikh Dahiru Usman Bauchi. He has consistently attacked the leadership of the Sultan and his forebears. He did not spare any effort to denigrate the personality of Sheikh Usman Bn Fodiyo and all his efforts. He has also been calling for the appointment of Sheikh Ibrahim Makari as the Chief Imam. That part looks harmless until you realise that unknown to many, the former is not exactly in good terms with the latter. If you read Robert Green’s The 48 Laws of Power, you probably will understand the intrigue playing out. For instance, anyone who knows His Eminence, the Sultan will know the easiest way to lose favour with him is to try and lobby anything with him. Sheikh Dahiru Bauchi knows this. Makari chose to be another’s kin in place of him and this has not augured well for my friend and brother. A combination of insults on His Eminence, the Sultan and call for the same Sultan to appoint Dr Makari as the ‘Chief Imam’ can only be in bad taste. It is an indirect way of trying to eliminate the chances of Dr Makari attaining any such position. If he had come out in a direct manner, the whole world would have seen through the game. If anyone with good breeding listens to the audio recordings of Dahiru Bauchi describing His Eminence, the Sultan in the most unflattering words, condemning his decisions and fanning the embers of sectarian strife, he will be forgiven for concluding that the speaker must be one hothead in his early twenties or at most early thirties. Upon sighting the speaker of those bile-laden words, you would do a double take, as you would be unable to match the immaturity of the words with the advanced maturity of the body. In the nonagenarian’s mind, for example, the appointment of the trio of Dr Makari, Dr Adam and Dr Onilewura signifies the appointment of two ‘izala’ and one ‘darika’ Imams. He could not see the appointments beyond that. Sheikh Sharif Saleh younger than Sheikh Dahiru, but I cannot imagine him making such childish and narrow-minded accusations. Incidentally, Makari is son-in-law to and a disciple of Sheikh Saleh. Saleh has conducted himself in a manner that puts him in a position of respect from all. He avoids controversy and divisions, facing the true calling of the Sufi, deep spiritual devotion. He talks less and teaches more. He has authored books as every scholar who knows his onions does, unlike the older, louder Sheikh. An example of the gaping difference between the two leaders of the Sufi schools is on the Jihad of Sheikh Bn Fodiyo. While Dahiru Bauchi made fun of the effort and insulted Bn Fodiyo and his grandchildren, the younger Sheikh Saleh refuted the revision of history by the older man. Sheikh Saleh chairs the Fatwa Committee of the Nigerian Supreme Council for Islamic Affairs (NSCIA) and the NSCIA is headed by Dahiru Bauchi’s so-called ‘izala’ Sultan. What an irony! Sheikh Saleh was also part of the interview and selection of the three Imams. In the interest of fairness and with all due regards, he should have recused himself from that role since my brother and friend, Dr Makari, a candidate that would appear before him, is his son-in-law. That notwithstanding, no one could accuse him of partisanship. The three Imams may have different understandings of the finer issues of creed and even jurisprudence; however, none of them conducts the affairs of the mosque in a way that shows his leanings. They have done creditably well in this area, Alhamdulillah. The outsider who is looking for an opportunity to cause mischief is the one who has seen them through blurred, sectarian lenses. He should be ignored. The structure of leadership in Islam puts the Imam at the top. The Imaam is both the political and spiritual leader of the people. This was exemplified by the Messenger of Allah himself (Peace and Blessings of Allah be Upon Him). His companions after him kept the faith. The current world order which places Imams in a vulnerable, dependent position and which renders part of their job redundant is an anomaly. Wherever there is an opportunity to correct it, it should not be missed. Ideally, the Imam should see to the daily running of the mosque and he should not be subject to any administrative encumbrances which can bring that office to ridicule. For example, if the mosque must have a separate Executive Secretary, he should report to the Imam and not the other way round. The Imam will be appointed by His Eminence, the Sultan or His Royal Highness, the Emir, depending on where we are talking about. I suggest that the three Deputy Imams should remain co-equal and others should be added to them as deputies. The deputies could be as many as possible and out of these, His Eminence, the Sultan can choose one to be the administrative head who will otherwise be equal with the rest. What will it take to add a few more deputy Imams who speak the main languages of this country? What about an Igbo Imam? There are many qualified for the position. If you look at the model of the mosque in Makkah and Madeenah, they have many Imams and none of them can claim to be the ‘Chief Imam’. When my mentor, Sheikh Musa Muhammad was around, he had the uncommon gift of managing all the factions of the various sects who were stakeholders in the National Mosque. Such is rare. I have heard darika devotees refer to him as izala and I have witnessed izala brothers refer to him as a darika man. He attended every Mawlid of the darika to which he was invited. A close brother narrated how he was once roughened up in the mosque by overzealous darika brothers. May Allah forgive his soul and grant him Al Jannatul Firdaus. With the emphasis on sectarian differences getting louder, His Eminence, the Sultan should seriously consider an arrangement which sees many people being in charge as co-equal with only one of them having the extra duty of administration. These people should not be made redundant. They should be given accommodation and commensurate emoluments to ensure they are not hungry and vulnerable to pressures and manipulations. The funding should be such that no one except His Eminence, the Sultan can wield control over them to do what is unbecoming of their offices. My brothers should troubleshoot fires, not start new ones. The social media is a particularly veritable means to know just how well-mannered people are. I read some comments from my Facebook page and the shallow depth of the thought behind the words of some commentators on the first part of this article was mind-boggling. Ranging from poor English to poor manners; from beautifully worded dissent to near-dogmatic follower-ship, you will read the person from his words. Someone once told me never to wrestle with a pig in the mud; you will get dirty but the pig will enjoy it. Taking a cue from that saying, I will not join issues with anyone who insults me on this or any other matter, inshaa Allah. This is in response to ‘Time to appoint Chief Imam for National Mosque’, written by my intimate writer-friend, Ustaz Muhammad Ajah, published in Daily Trust , among other publications, on April 1, 2017. How I qualified the author of the piece I am responding to tells you there is no malice in the piece you are about to read. Ustaz Muhammad Ajah earns my adoration in establishing himself as a writer of repute, exhibiting, in the process, critical thinking as a commentator on burning national issues. I am proud of being on his mailing list which enables me to read his articles prior to their publications. I met Ustaz Ajah at a public function recently where I intimated him of my desire to pen this rejoinder. I should declare, from the outset, that this is not an official response from either the Nigerian Supreme Council for Islamic Affairs (NSCIA) or the Abuja National Mosque Management Board. Whatever you read here is what I felt compelled to write as an insider version of Ustaz Muhammad Ajah’s article, as one who has been within the vicinity of the Abuja National Mosque for more than 20 years. ‘Time to appoint Chief Imam for National Mosque’ does not have the DNA of the Muhammad Ajah I know; he must have written it in haste, and thus the product made an alarmist of the author, which he is not. For example, contrary to contents of the article, there is ‘no vacuum in leadership’ as far as the Abuja National Mosque is concerned, before or after the demise of Sheikh Musa Muhammad. 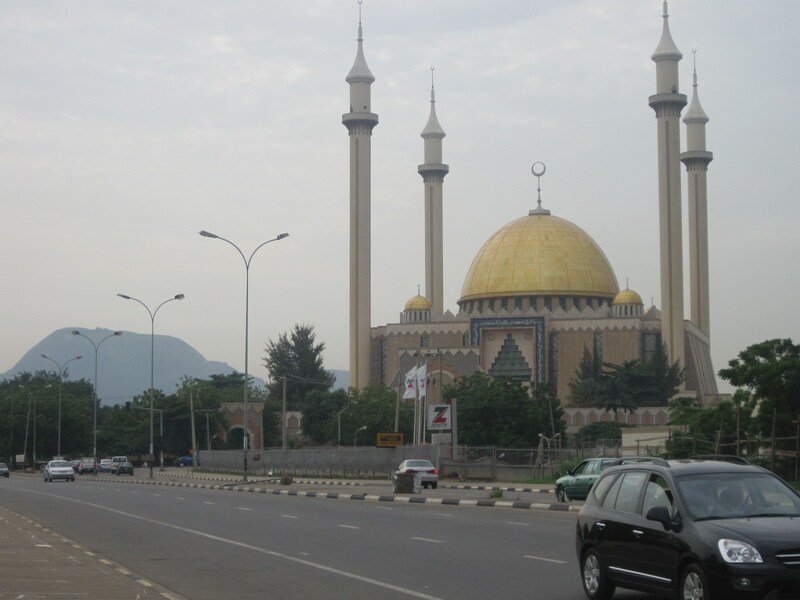 And the ‘leadership of the Nigerian Supreme Council for Islamic Affairs (NSCIA)’ has not failed in ensuring that the Abuja National Mosque satisfies Shariah conditions for the acceptance, in the sight of Allah, of people’s devotions and other religious ceremonies. The three co-equal deputy chief imams have been undertaking, with diligence, their duties of delivering Khutbah, leading prayers, conducting wedding faatihahs, expounding the teachings of Islaam in daily Magrib-to-Ishaa ta’leems, overseeing funeral arrangements, offering salaatul janaazah on a deceased person, and whatnot. That is the essence of imamship, not only in the Abuja National Mosque, but in all mosques in this Ummah. Once the officiating head of a religious ceremony (imam, deputy imam, or any learned taqiy) is qualified and accepted by the congregation, the ritual is whole and recompensed by Him whose countenance is sought in observing it. Also, I do not know ‘… Etsu Nupe, Alhaji Yahaya Ibrahim…’ as contained in Ustaz Ajah’s article. For a good writer like my friend, this type of slip reinforces my belief that he wrote the article in haste, as information on such respected personages as Etsu Nupe, Alhaji (Dr)(Brig.Gen) Yahaya Abubakar rtd CFR, is just a click away on the internet. I got the full name here from his Wikipedia entry, by the way. I referred to the three deputy chief imams above as ‘co-equal’ because some people imputed false hierarchy to the trinity of the deputy imams. The appointment letters are identical; all of them are of one and the same position - no one is superior to the other - in so far as the spirit and letter of the appointment document are concerned, as signed and sealed by the late Secretary-General, NSCIA, Alhaji Abdullatif Adegbete, at the behest of His Eminence, the Sultan, Alhaji Sa’ad Abubakar. There was nothing like the first, second or third deputy chief imam as is being held and disseminated in some quarters. Sheikh Dahiru Usman Bauchi is among the proponents of this alien idea of first, second and third deputy…. the NSCIA does not know this classification! Let me also state that I maintain very cordial relation with all the deputy chief imams at the Abuja National Mosque. I spoke to all of them before the publication of this rejoinder. I do not prefer any of them above the other in line with the dictates of NSCIA in appointing them. Sheikh Ahmad Onilewura is the eldest of the lot, jovial in his manners, amenable and conscientious. If I were asked to endorse any among the trio, Sheikh Ahmad Onilewura would have been the one. However, I will not. Sheikh Muhammad Kabir Adam has experience in conducting the affairs of the Mosque for being the first Mu’azzin for about three decades, and has served as Acting Chief Imam in 2010 and 2011 when the late Chief Imam, Sheikh Musa Muhammad went for Umrah or Hajj trips. He has been a close friend since the ‘90s when I came to the mosque. We have been on hajj trips on a number of occasions. Sheikh Ibrahim Maqary is a bosom friend (and recently a brother in-law) whom I met in the 90s during my stint at Al-Azhar University for the Dauratul A’immah course. I have not met anybody in my life as humble, amiable, ebullient, and, - if I may add, unassuming - ever-willing to share, with others, the knowledge Allah has bestowed upon him, as Sheikh Ibrahim Makari. When the then candidates were subjected to intense interview and screening for the deputy imamship of the Abuja National Mosque, the late Sheikh Musa Muhammad was preeminently qualified to continue as the Chief Imam, and was thus not ‘requested to undergo’ any ‘thorough screenings’ as stated by Ustaz Muhammad Ajah. Late Sheikh Musa Muhammad it was that established the alternation of leading prayers by the three deputy imams in his absence, which has not been altered in the least till date. What Ustaz Muhammad Ajah listed, therefore, as his reason for advancing Sheikh Makari was just a coincidence that occurred on the first Friday after the late Chief Imam’s funeral in which Sheikh Makari delivered the khutbah and led prayers. Ustaz Ajah was oblivious of the fact that the late Chief Imam, on his death bed, called Sheikh Muhammad Kabir Adam, one of the three deputies, and instructed him to lead the Jumu’ah prayers, just as exemplified by the Prophet, blessings and peace of Allah be upon him, in similar circumstances, a deed among other considerations, that later led to the ascension of Abubakr As-Siddeeq to the Caliphate. There were two versions of Ustaz Muhammad Ajah’s piece - the one he sent by email to his contacts, and the other an edited and Daily Trust-published version in which his reasons (b to d) for preferring Sheikh Makari to others were expunged. Of course conducting the marriage of the President’s daughter should not merit mention amidst the reasons for preferring an imamship candidate. 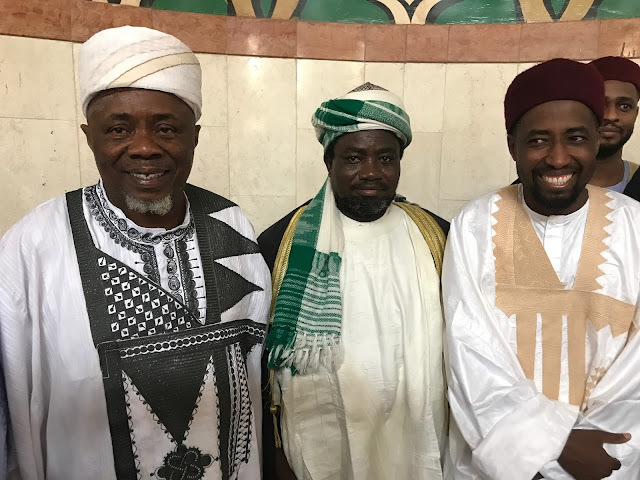 Unknown to Ustaz Ajah, Sheikh Makari led the Jumu’ah prayers on that Friday, but Sheikh Muhammad Kabir Adam conducted the wedding of the President’s daughter. In his self-effacing nature Sheikh Makari will not vie with anyone in trying to conduct marriage for anyone’s offsprings no matter how highly placed they may be. So, even though it was his turn to lead the prayers on that day, and he had, Sheikh Makari did not conduct wedding for the President’s daughter as claimed by Ustaz Muhammad Ajah. I cannot fathom what Ustaz Ajah was trying to emphasise by ‘uncommon Arabic accent’ because I have not heard him speak Arabic to judge his proficiency and what accent may mean to him. We converse in English. But I am sure of one thing: with all the years he spent in Cairo, Sheikh Makari does not speak like an Egyptian. There is no trace of the Misr dialect in his speech. This is not a weakness but a token of discipline and wide intellectual interaction with diverse scholars through their writings. He speaks fushah (classical Arabic) devoid of any accent other than that of an Arabist of northern Nigerian extraction. And delivering extempore (unscripted) khutbah cannot be a paradigm for preferment. Yes, it is the norm in Egypt; hardly will you see an imam with a written khutbah. It is more of a tradition in that citadel of knowledge. In Saudi Arabia or Nigeria for example imams prepare a written khutbah every Friday. We have copies of the Khutbahs of Sheikh Usman Bin Fodiyo and Sheikh Abdullahi Bin Fodiyo. They wrote and read their khutab (plural of khutbah). When I visited Senegal, the imam of Madinah Baye Mosque read one of the khutab of Sheikh Ibrahim Nyas. I hope Ustaz Muhammad Ajah does not place his anointed above Sheikh Usman Bin Fodiyo because of the former’s ad-lib rendering of the khutbah. Another dimension of this article that I found unsettling was the insinuation of politicisation of ‘the selection process’ which ‘has nothing to do with Islam’. I wish my respected brother will expatiate on this, rather than insinuate. It is enough crime to the credit of anyone that he should say what he has no knowledge of. The standard in Islam is to get all the facts before making any comment. Insha Allah, I will make my own observations and give my suggestions on how to go about running the National Mosque effectively. In doing so, I may write what others may disagree with and what may annoy others, still. What is of paramount importance to me in all this is not tribal, sectarian or even fraternal affiliations but the interest of the Ummah, so help me, Allah. Nigeria has not seen a better representative of the Custodian of the Two Holy Mosques, King Salman bn Abdulaziz, than His Excellency, Sheikh Fahad Abdullah Sefyan - humble, conscientious, - a diplomat per excellence. This brilliant diplomat’s career and his 20-month stint in Nigeria came to an end last week with his retirement and subsequent return to Riyadh on Friday, March 31, 2017. When I answered His Excellency’s summons at the beginning of his sojourn in Nigeria sometime last year, I went into the Saudi Arabian Embassy with the feeling that my first encounter with the then new Ambassador would be uneventful. I met the door to His Excellency’s office wide open. ‘Come in Ustaz Abubakr.’ Said a voice in an avuncular tone. Sheikh Fahad, after shaking my hand warmly, urged me to sit on the sofa next him, and personally served me qahwah (Arabian green coffee laced with cardamom) and dates. I was deeply touched by his simplicity and humbleness even when I called to mind the Prophetic dictum ‘the leader is the khaadim..(one who serves)..’ Whenever I drained my cup, he replenished it to the brim. Sheikh Fahad’s speech, though a diplomat, was reminiscent of a khutbah interspersed with ayaat and ahaadeeth delivered by an ‘Aalim conversant with world politics and current affairs. In a very short time during that first encounter I became relaxed and confident to speak freely with my host, especially as he encouraged me by telling me my ‘command of the Arabic language is good’; whatever that meant. The discussion drifted towards my writings which I reckoned the subject of the summons. ’As a Muslim scholar, a writer and a columnist with LEADERSHIP Newspaper,’ the Ambassador said, ‘you should be objective, as you have been, in what you relate to your readers. I have read some of your articles; I concur with some of the sentiments you express, and take exception to some. But that is life. People are bound to disagree on certain issues; call it, if you please, divergence of perspectives.’ At my insistence, he mentioned some of the areas in certain articles I wrote to which he took exception. I gave my reasons on why I held the position I did and promised to send him more write-ups published years before he came in support of my constancy in upholding the opposite of what he thought. ‘My office,’ His Excellency finally said, ‘is open physically and metaphorically.’ Of course, when I came in it was wide open. ‘You are welcome anytime.’ he assured me. I went out of the Saudi Embassy that day wondering what type of man this new Ambassador was. Obviously he did not like my approach to certain issues; he made his objections apparent in a very diplomatic phraseology which left no bad taste in one’s heart or rancour. His demeanour at once subtly urges you to attune to his words and encourages you to voice out a different opinion in case you see the point from another perspective. That is a man you meet, befriend and love instantly. From that first meeting and instant friendship, Sheikh Fahad invited me to almost every function organised by his office - Saudi National Day Celebrations, seminars sponsored by the Embassy or another Saudi agency, dinner in honour of visiting dignitaries at his residence, and whatnot. I was able therefore, to know firsthand the way he conducted himself in his office as well as in his residence and at public functions. Guests at any function he hosted have done honour to him, and not the other way round; that was his philosophy. Thus he would exert his utmost to serve his guests personally however much his retinue were averse. His blissful tenure aimed at one thing - strengthening of relations between Nigeria and the Kingdom of Saudi Arabia - which he has achieved, a crowning glory to his calling as the representative of the Custodian of the Two Holy Mosques in Nigeria. Even President Muhammad Buhari attested to improved ‘relationship between the two countries’, during Mr Sefyan’s farewell visit to the State House. It was during Ambassador Fahad’s tenure that President Muhammad Buhari undertook that state visit to the Kingdom of Saudi Arabia, which was followed shortly after, by another visit by members of the Nigeria-Saudi Arabia Parliamentary Friendship Group to the Shura Council in Riyadh. Ambassador Fahad facilitated this ‘return visit’ of Nigeria’s National Assembly Members which was occasioned by an earlier visit of a delegation from the Shura Council of Saudi Arabia, led by Prince Khalid Abdullah. This has advanced bilateral ties in trade and investments, parliamentary cooperation and exchange between Nigeria and Saudi Arabia. He personally went out of his way to see to the comfort of the visiting members of the Federal House of Representatives led by the Deputy Speaker, Hon. Yusuf Sulaimon Lasun. This left such a lasting impression in the minds of the lawmakers that they organised an unprecedented send-forth dinner in his honour. No outgoing diplomat in Nigeria has been so honoured. Ambassador Sefyan brought a fresh outlook to the way the Saudi Embassy in Abuja was run. He was open to suggestions and he was accessible. He thought up many projects to help the poor and indigent; some of which he confided in me. It is with mixed feelings one has to accept that he has retired. Naturally, his retirement should delight him, and as a friend, I should be happy for him. However, his departure means some of these lofty plans may never come to fruition, for he has left us. If you are a regular reader of my column, you will recall that I wrote a column titled Guardian of the Orphans, about Hajiya Uwani Yusuf Waziri, also known as ‘Uwar Marayu’ (Guardian of Orphans), a resident of Unguwar Kaji, Kaduna. She rescues abandoned babies (calling them motherless is callous and untrue) and nurtures them. A Saturday Trust article had brought this woman’s selfless devotion to the attention of His Excellency, the Ambassador. After reading the article, he called me and asked to get access to the woman so that he could give his widow’s mite. I arranged a meeting between Hajiya Uwani and the Ambassador. It was an emotional moment when the old man looked at one of the orphans, Baby Zainab, pointed at her and said words that are forever etched in my mind, “This has done no wrong for coming to the world. It is blameless.” He tried to control his emotions but was overcome. As he wept, all of us wept too. If you are reading this, Your Excellency, Zainab did not make it. She passed away recently. I could not bring myself to tell you, seeing the empathy you displayed that day. We are comforted in the knowledge that although we shall miss His Excellency, Sheikh Fahad Abdullah Sefyan a lot, he left behind a capable hand. 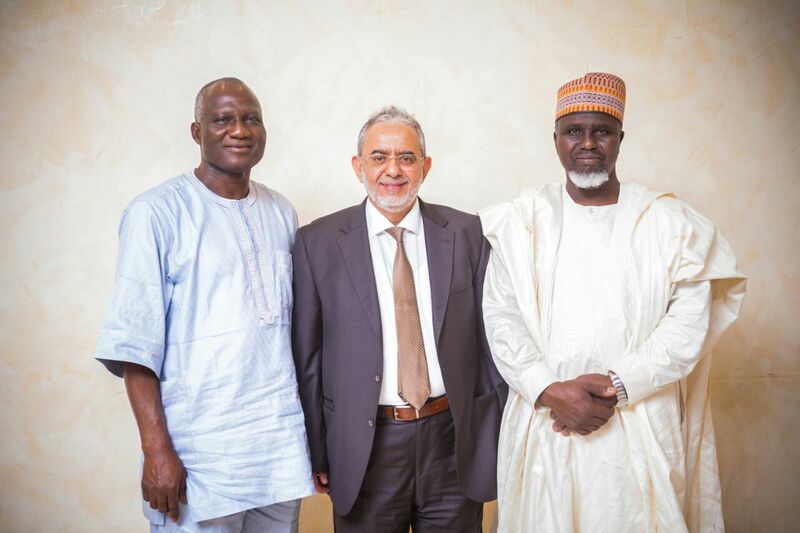 During his tenure, just like the Prophet Musa (peace of Allah be upon him) had the Prophet Harun (peace of Allah be upon him), Allah blessed the Ambassador with the second in command, Dr Yahya Ali Mughram. Remembering that the highly intellectual and energetic Chargé d’Affaires is still with us gives me some comfort. Dr Yayha is indeed a part of the success story of the last Ambassador’s tenure. The sweet relationship between the two nations, Nigeria and Saudi Arabia, is something which should be nurtured, grown and sustained. The Saudi government sent some its finest to represent it in Nigeria these last few years; it should continue. Of course, there are those for whom that is a problem, votaries of the worship of prophetic descendants that they are. They should ruminate over Surah Aali Imraan, Q3:118-119. I am sure they will be comforted.